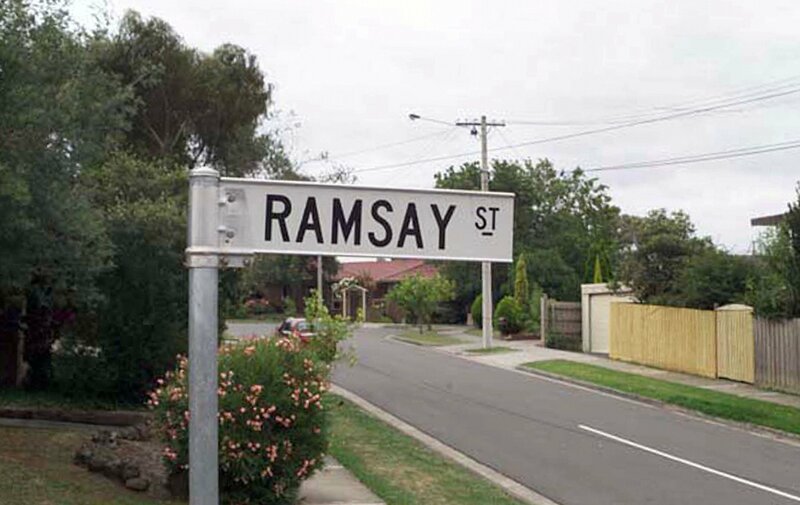 Ramsay St … what house on this street isn’t famous? In a recent post we covered 5 Famous Australian Houses with historical significance – this time we want to stir up some memories with famous houses from Australian film & television history. So join us on our stroll down nostalgia lane … we’re sure you’ll leave with a theme song or two playing in the back of your mind. Now Ramsay Street is likely the most famous fictional street in Australian television history – heck it’s famous even overseas (many a Brit knows the theme song – and it’s likely you do too). It is Australia’s longest running drama series and will celebrate its 30 year anniversary in 2015. If you’re curious to visit the real life cul-de-sac, you can find it outside Melbourne at Pin Oak Court in the suburb of Vermont South. TRIVIA: Barry Crocker sang the original theme song … no shockers there. Love them or hate them it is highly likely you know of them (and possibly know people just like them) … Kath & Kim – they’re the creation of Australian comediennes Jane Turner & Gina Riley. What started out as a regular skit on TV show Fast Forward morphed into the hilarious situation comedy show we know today. If you happen to be in Melbourne you can visit the fictional suburb of Fountain Lakes by instead making a stop in the real life suburb of Patterson Lakes, you can then find Kath & Kel’s house at 4 Lagoon Place … it’s the house with a lovely short palm tree in the front yard, one you’ll agree is noice, different and unusual. TRIVIA: The full name of Kim & Brett’s daughter is Epponn’knee-Raelene Kathleen Darlene Charlene Craig and in the third season finale the adult Epponn’knee-Rae is played by Kylie Minogue. A cracker of a show that spanned a decade, Mother and Son was produced by the ABC and followed the day to day struggles of living with and caring for an elderly parent with the beginnings of Alzheimer’s disease. The show starred Ruth Cracknell as the elderly Maggie Beare and her live in youngest son Arthur Beare played by Garry McDonald. While the majority of the indoor scenes were filmed on an ABC set the external shots were taken on site at a home in Rodd Point in Sydney’s Inner West. TRIVIA: The internal shots were filmed on an ABC set and if you look closely the layout of the internal set doesn’t match up with the external layout of the property. Chances are if you had your 10 year High School reunion recently you’ll be familiar with this most awesomest of kids TV shows – many a rainy sports period was spent sitting in the spare room of the science block watching the adventures of the Twist family. 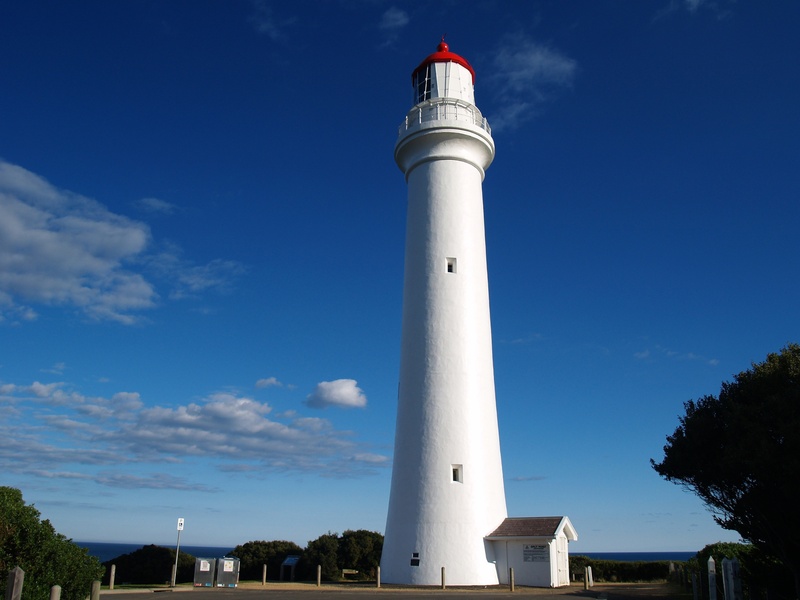 Based on short stories written by acclaimed children’s author Paul Jennings, Round the Twist focuses on the magical adventures of Tony, Pete, Linda and Bronson Twist who live in the converted Lighthouse of fictional coastal village town Port Niranda,Victoria. TRIVIA: The author Paul Jennings made a cameo on episode 12 of season 1 entitled “Without My Pants” playing the part of the ghost of Benjamin Byron. Oh where do we start?! Suffice it to say that this is the quintessential Aussie film about battling for what you believe is right, a David vs. Goliath epic tale with a lovable patriarch leading the way in the form of Darryl Kerrigan. TRIVIA: Apart from being famous as Eric Bana’s first film, the movie was filmed in only 11 days with a budget of $750,000. Set in Sydney and filmed in various locations including the home below on Sydney’s Northern Beaches suburb of Narrabeen. Lantana is a murder mystery revolving around the relationship complexities of its cast. It is widely appreciated as one of the best Australian dramas of the 21st century (and many would argue it should take top spot). It won seven AFI awards to critical acclaim and stars a star studded cast including Anthony LaPaglia, Barbara Hershey and Geoffrey Rush. TRIVIA: Lantana was the first film to win all 6 of the top AFI awards. A coming of age tale of an Italian Australian teenager who is searching for her place in the world while also trying to keep her closest family members from driving her insane in the lead up to her final exams for her last year in High School. Adapted from the debut novel by Melina Marchetta, Looking for Alibrandi is set in Sydney’s Italian community with scenes shot in and around Five Dock, Leichhardt and the neighbouring Inner West suburb of Newtown. TRIVIA: The house above was the original family home of the author of Looking for Alibrandi – Melina Marchetta and the opening scene was filmed in the backyard. Baz Lurhmann’s 3 hour plus long epic glorifies the plight of the Australian drover during the Second World War era. It is set on the fictional cattle station homestead of Faraway Downs in the northern part of Western Australia. It is Australia’s second highest grossing film behind Crocodile Dundee and stars Australian actors Nicole Kidman, Hugh Jackman, Bryan Brown and David Wenham. The film garnered mixed reviews however there’s no arguing that it certainly put our country on the global map. TRIVIA: The homestead was built especially for the movie – it doesn’t actually exist in real life! Impressively the entire homestead was built for the film (adding to the over-the-top excess that Baz Lurhmann is known for). Famous Australian Houses Week 3 Winners #AussiePix2014 Photo Competition Nasty surprises that could blow a renovation over budget Are you top of the mortgage class?